Specifications Description Network Interface 1 x 10/100/1000 Mbps Ethernet port, with support for 802.3af PoE 1 x 10/100/1000 Mbps Ethernet port (Auto-negotiation, auto MDI/MDIX) VLAN Support Yes Number of VLANs 4 Wireless WLAN IEEE 802.11ac/a/b/g/n Speed 1750Mbps Radio Frequency Dual-band, 2.4GHz and 5GHz Multiple SSIDs 4 x SSIDs on 2.4GHz 4 x SSIDs on 5GHz Operating Channels 2.4GHz: 1 to 13, auto channels selection 5GHz: 149,153,157,161,165,etc. 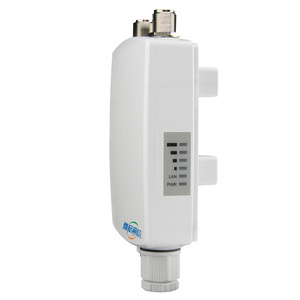 WLAN Security WEP, WPA-Enterprise, WPA2-Enterprise, WPA-PSK, WPA2-PSK Operating Modes Access Point mode, Access Point client mode, WDS mode Antennas 3 x internal antennas Antenna Gain 3 dBi RF Power 2.4GHz: 25dBm 5GHz: 23dBm SSID Broadcast Control and hiding Yes WMM Yes Wireless Isolation Yes QoS(Quality of Service) Rate Limiting Fixed rate limiting Management Deployment Standalone (FAT mode) Centrally managed by UTT WiFi Controllers (FIT mode) Management Protocols HTTP(Web GUI) Event Logging Local, syslog, email alerts Upgradability Firmware upgradable through web browser, imported/exported configuration file System Time Supports SNTP, Day Light Savings, Manual entry Languages English Physical Specifications Dimensions 210mmx210mmx50mm Weight 800 g Ports LAN Buttons Reset LEDs WLAN, Link/Act Power DC 12V, 1 A 802.3af PoE Power Consumption 12W FCC Part 15 Operating Temperature 0 to 40 C (32 to 104 F) Operating Altitude 0 to 4000m Operating Humidity 10 to 90 percent noncondensing Check out our complete product line of access points by clicking the following pictures! 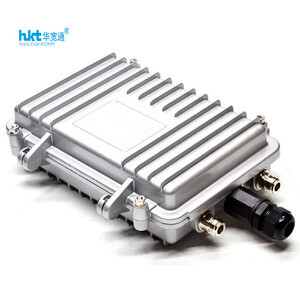 Chipset Intelligent chipset, stable transmission This equipment uses Qualcomm industrial chip, with a great load carrying capacity, fast processing speed, stable transmission speed. Our Workshop Team Building & Training Why Choose Us Equipment advantage: Service advantage: &middot; Effectively solve wiring troubles. &middot; powerful chip stability &middot; Hide SSID, prevent Wi-Fi squatter &middot; Rainproof and dustproof, High and low temperature resistant shell. How about the quality9 All our products manufactured with new brand materials,best design with strict old-aging testing and qc tested. How long warranty period9 All products offered by CCTECH provides 1 year warranty. Our Service &bull;All products have been double checked and packed in good condition before dispatching. 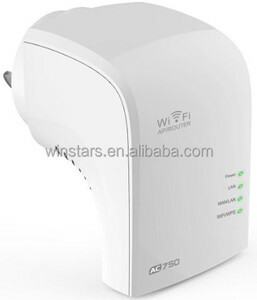 Shenzhen Cosmunion Technology Co., Ltd.
With AP, Router and WiFi Repeater operation modes, it can transmit wifi signal in a certain place for outdoor users, or can bridge the exist wifi signal to extend the range. 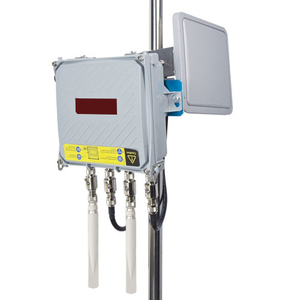 With LED light indicates signal strength, which is easy to find a suitable place for outdoor CPE. How to Reset CPE Press the &ldquo;Reset&rdquo; button more than 15 seconds after power on. 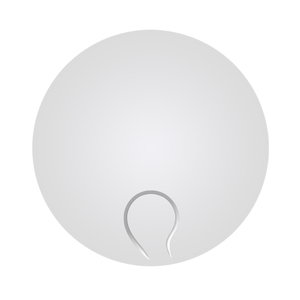 Shenzhen Weini Electronic Commerce Co., Ltd.
300Mbps/s UFO Shape Wall Wireless Ceiling-Mount Poe Access Point 1. Install it on the wall of lobby or passage. 4. Built in watchdog chip, it will self-reset when appears abnormal operation. 5. 300Mbps/s high transmission speed, smooth video transmission and internet games experience. Shenzhen Ayision Technology Co., Ltd.
Alibaba.com offers 2,806 oem wireless access point products. About 56% of these are wireless networking equipment, 1% are integrated circuits, and 1% are access control system. A wide variety of oem wireless access point options are available to you, such as paid samples, free samples. There are 2,807 oem wireless access point suppliers, mainly located in Asia. The top supplying countries are China (Mainland), United Arab Emirates, and Taiwan, which supply 99%, 1%, and 1% of oem wireless access point respectively. Oem wireless access point products are most popular in North America, Western Europe, and Domestic Market. You can ensure product safety by selecting from certified suppliers, including 902 with ISO9001, 221 with ISO14001, and 39 with Other certification.